Staff, parents, and students love our Music and Movement area, especially the stage. The stage has become the focal point of our Nature Explore Classroom. On the stage, children play the drum and move according to the beat. In addition, we had our first “Fashion T-Shirt” show. Children used the stage to show off their own “designed T-shirt” to their parents and family. It was a blast. 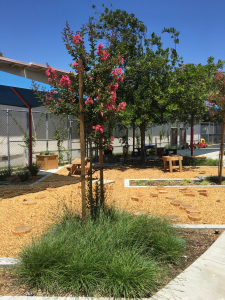 Our Nature Explore is designed where children can jump, climb, run, and have quiet time to relax. Favorite places to relax are in the manipulative area or the reading area sitting on a “beach chair”. Staff and children take care of the plants, flowers, and vegetables by watering them every day. In addition, every morning during the gathering time, teachers ask students to observe, listen and describe the living and nonliving things that surround them (plant, flower, birds sound, truck/airplane/helicopter sound). 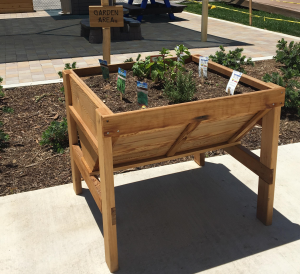 Staff decided to plant herbs in one of the planters, so students can smell the different flavors that the herbs provide. 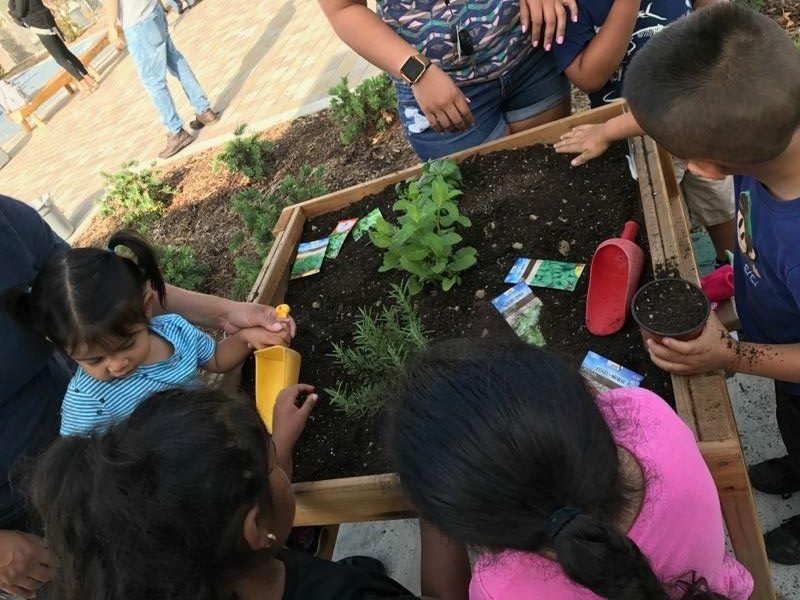 Staff, parents and students joined together for our school’s Gardening Project. 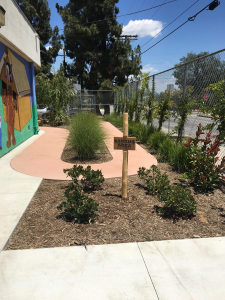 Everyone came on a Saturday to plant flowers, vegetables, herbs, and drought resistant plants.